I was sitting on the veranda when I first saw him on a sunny morning about three years ago; a small man, slightly stooped with age, impeccably dressed in pants, tweed jacket, proper shoes and tweed cap carrying his Eco friendly bag walking towards the local supermarket. Over the next couple of years our relationship developed from “good mornings” to the much deeper “lovely day for a walk” comments once a week or so. That was it, I didn’t know his name or where he lived, I just knew it was further around the corner than us. He was only a part of my life in the 900 metres between the corner and the supermarket. It was rounding that corner one Anzac Day morning on my bike I encountered him, immaculately dressed as always, but this time in uniform, with rows of medals on his chest. “Good morning” he said, with a big smile, those bright eyes twinkling as always as we passed each other. I remembered that our local service was held mid-morning at the RSL, not at dawn. Ah, so he’s a veteran; that explains the sharp dress sense! It didn’t matter what the weather, the little old guy with the bright twinkly eyes and the smile would make the trip to the supermarket but it was clear he didn’t drive anymore. However, one day about a year ago, he got some wheels, a walker, the type with the little padded seat. It didn’t stop his supermarket walk; he just hung his bag over the handle and carried on. Life went on as normal, Christmas came and went. I realised that I hadn’t seen the little old guy with the walker… That’s what we called him in our house. I began to get worried and actively kept an eye out for him, I missed him. Perhaps he’s moved, gone into assisted housing, or I’ve just not seen him I reasoned with myself. Anzac Day 2015 rolled around and I dragged Crazy Cat Boy off to the local service, partially to pay my respects but mostly to see if he was there. He struck me as someone who would be in the thick of it, helping out and joking with his mates. I was unaccountably sad when I couldn’t find him. Last month I clicked on the latest E-newsletter from a local community to see those familiar twinkly eyes and smile looking back at me. The headline read “Vale Arch”. Two paragraphs summed up an amazing life of service to his county and a love of adventure that seems to have spanned the 87 years of his life. So now I know his name, it’s a shame (or is it shameful?) that I didn’t know it sooner. So goodbye Arch, you’ll be missed. I just hope that someday someone will feel that way about me. I started this as a piece on personal branding, but it took another direction, I hope it does Arch justice. It would need to be planned with military precision. The troops would need to be briefed; a single mistimed word or action could sabotage the mission. It would be vital not to spook the targets. One whiff of what was afoot and they’d go to ground and our mission timeline would be compromised. Lying still in the cold dim light of dawn, nerves on edge but focused on the mission objective, we wait until the time is right to strike. It’s cold, hopefully our targets will be less active, less alert, more inclined to be lured into drowsy complacency in their warm quarters. The order to move is issued. Calmly yet quickly the battalion goes to work. The plan requires the opposition to be cut off from all escape routes and flanked until they have nowhere to run. Our troops have been through this before, seasoned campaigners who each know the roles they have to play in the operation. Mission critical is to isolate the big guy first, he’s the most aggressive, he’ll put up a fight and marshal the others given the chance. Once he is contained the rest will be easy. The Capitan moves right in to a deliberate bottle neck, knowing that the big guy will follow and investigate. The plan works… suddenly he realises what is going on and calls to his team, but it’s too late, their escape has been cut off! They have nowhere to run, they must stand and fight. The open battle field is chaos, with troops on both sides running and crying in the heat of the battle. Our opponents are wily and cunning. This is their territory and they know every inch of it. The action is fast and desperate. Suddenly, victory is ours! All that can be heard are the angry, almost feral calls from the prisoners as their captors load them into the transport vehicle and move out. The objective is complete. Inside the transport our team congratulate themselves on the perfect execution of the battle plan and thank god that the cats only need vaccinations once a year! Co-workers, love ‘em or hate ‘em it’s hard to avoid them. So what do you do when you work with someone who is insecure, fixates on tiny problems (that they must tell the world that they found) and won’t move on long after an issue has been thrashed out? As I work from home I’m normally insulated from any office hysterics caused by Tiny Details Exaggeration Syndrome or TDES**. 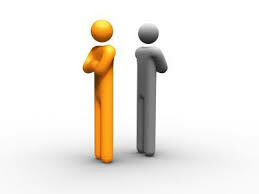 However, I recently found myself in a situation where I did allow a person to get under my skin face to face. I won’t go into details except to say I believe it was a complete misinterpretation of my actions, it certainly was of my intent. I was measured and (I think) rational in my response until my integrity was attacked. That’s kind of my hill to die on. Now I know that this person is pretty emotional. Normally I make allowances for them, as outside of work I quite like the guy and I also understand from personal experience just how irrational insecurity can make you. So, what do you do when someone attacks you and then can’t or won’t provide examples of the behaviour? My response was to continue to push for one, that only served to make them more defensive. In the end I did something I rarely do, I tried to justify my perceived actions on one of my offences. This was also a mistake as it gave them the opportunity to tell me that they didn’t believe me. It was at this point I said there was nothing more to be discussed and walked away. Neither party was abusive or rude during our robust debate, but it wasn’t our finest hours either. So, what would I do differently? Do I regret what happened? To a degree, but I don’t regret defending myself. I know that in a year from now they’ll still be harbouring a grudge and trying to make my professional life difficult wherever possible and that isn’t ideal. However, I’m a big girl and fortunately they aren’t in a position to do any real damage to me. * This all took place after a work social function. I asked for the perceived issues with my performance to be tabled in a formal manner so they could be addressed openly. The response was they “might decide to in the future”. I’m not a fan of anyone holding something over my head as such, so I’ve already flagged the discussion with the powers that be.